Described to have sounded like Ella Fitzgerald, Elvis, Beyonce, and the Rolling Stones, Rebecca Jade has a chameleon-like quality to her voice making her incredibly unique and versatile. With vocal talent like hers, listeners become overwhelmed with the emotion she exerts in her singing. An internationally touring artist, Jade has proved herself in front of audiences for Boys II Men, Erykah Badu, and Vanilla Ice. She has also made a name for herself in her hometown of San Diego, becoming a San Diego Music Award Veteran with awards and acclamations spanning from 2014 to 2018. With 23 years of recording studio experience under her belt, Jade has been featured on many projects aside from her own including background vocals and demos. 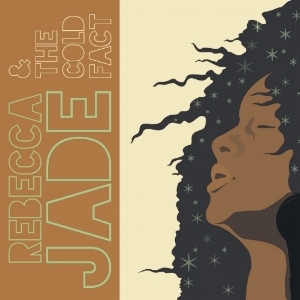 Check out her debut music project ‘The Jade Element’ as well as her sophomore album ‘Rebecca Jade and the Cold Fact’. When she’s not in the studio, Jade can likely be found all around Southern California performing live! Check her out @ Stone Brewing, May 28th at 2:00 PM!